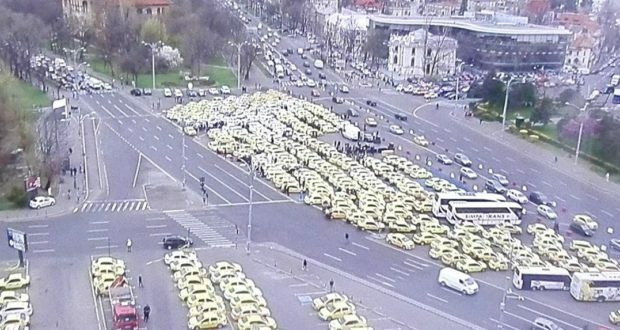 The Confederation of Operators and Carriers in Romania (COTAR) staged a protest in Victoriei Square on Thursday, with about 1,000 taxis, to complain against the drivers using the UBER/Taxify (Bolt) platforms. The Government and COTAR representatives had talks, the result being that the Executive is to issue an emergency ordinance against ‘taxi piracy’ in passenger transport. The law on taxi business is to be amended in view of combating taxi piracy in passenger transport. The Government also says the talks took place as continuation of the meeting on Wednesday of Transport Minister Razvan Cuc with FORT representatives. The release also reads that the draft emergency ordinance for the mentioned measures on transport was posted for public consultation on March 1 on the sites of ministries and is on the inter-ministerial circuit and is to be approved during the next Government sitting. On Wednesday a FORT protest blocked Victory Square. The trade unionists who discussed yesterday with Transport Minister Răzvan Cuc said they have received the ‘actual commitment” one of the emergency ordinances will be adopted at the next Government sitting, hotnews.ro reports. There are taxis from Bucharest, Ilfov, Constanta, Ialomita, Brasov, Timis, Arad, Iasi. “Until we see the promised GEO in force, eliminating the phrase ‘repeatedly’, the shift of ‘rent a car’ activity to the Ministry of Transport, we would not give up the announced protest programme,” Vasile Ştefănescu, president of COTAR, recently said. COTAR demands the Government to resolve this situation in a timely manner and to exclude the false carriers from the roads, as excluded are the false doctors, false priests or false lawyers, since those who practice piracy in transport without license and without licenses are nothing but false passenger carriers. Uber and Taxify have reacted to the Government’s intention to amend the law on taxi business. 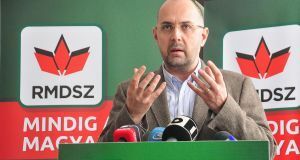 Transport Minister Razvan Cuc said, during a press conference, that there’s no intention to ban the ridesharing services, but to regulate their activity. In a joint communique, the two companies say they are ready to cooperate with the Executive to update the transport legislation, according to the European Commission recommendations. “We urge the Government to postpone an emergency ordinance, on behalf of the 2 million users and of the tens of thousands of drivers who use our platforms to earn a living,” the release reads. 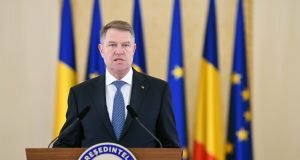 They argue that 1 in 10 Romanians use such services and that 7 out of 10 youngsters see the applications as an alternative to the personal car and 9 out of 10 want the authorities to stimulate such services. “So far, this new industry of alternative transport services has paid tens of millions of euros to the economy, in just several years, and to new jobs with taxes paid to the public budgets. The potential is huge and our joint commitment is to further invest in developing the industry in Romania. We wish to work together with the authorities in order to render more efficient the urban transportation, to cut pollution and to solve the parking crisis in the large cities,” the release further reads. The message concludes by saying that an update is needed for the legal framework, however such changes should favour the development of the industry.